Serenity at Grayhawk is within the guard gated community of 33 custom lots, from one half acre to over one acre, located on the highest elevated land in Grayhawk. Homes have fantastic city lights, mountains, sunsets, as well as, golf course views. 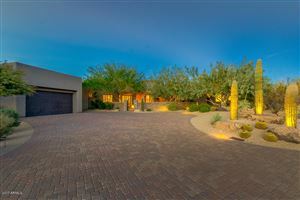 Serenity at Grayhawk is the only area in Grayhawk that offers custom home lots. Throughout the master plan community, residents can enjoy the ramadas / picnic areas, barbecue pavilions, basketball courts, pocket parks, green belts, over 30 miles of hiking and biking trails that offer a great opportunity to enjoy the outdoors. Abundant community features allow residents to enjoy a wide range of activities, and the carefully planned events by Grayhawk’s full-time resident Lifestyle Director. Close to schools, parks, and shopping and easy access to the 101 freeway. See all Serenity at Grayhawk.